Check this box to Add Printing Charges @ Rs. 20 per Sq. 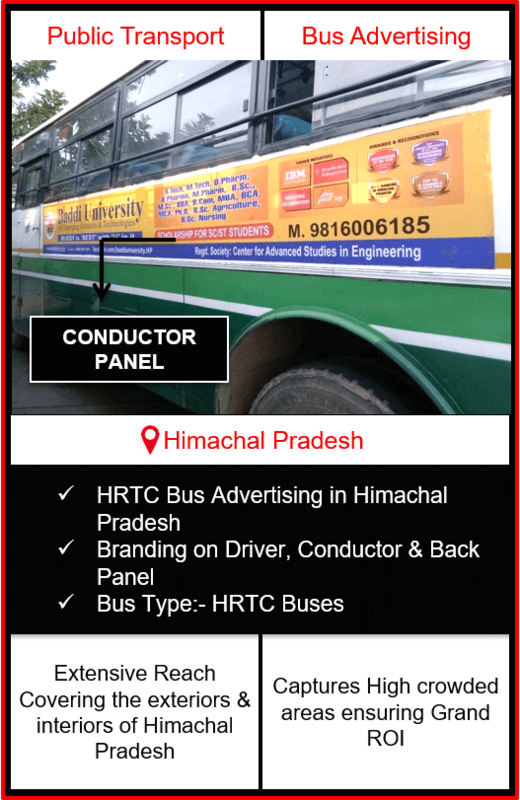 Ft.
Himachal Pradesh HRTC Buses Advertisement Campaign is a prominent way to target massive audience and boost up your Brand Recall. 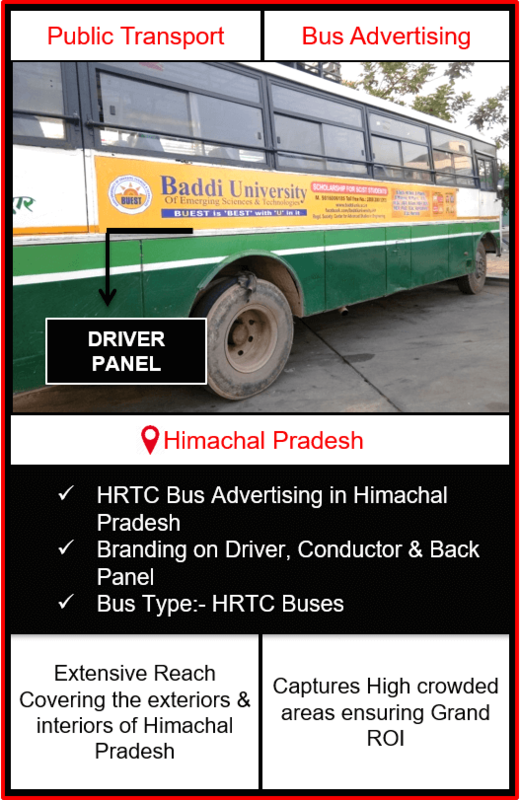 Advertising on Himachal Pradesh Roadways HRTC (Himachal Road Transport Corporation) buses provides your brand to cover wide area of Himachal Pradesh and near by cities which enhances your brand’s engagement power throughout the state and ensures you Grand ROI. 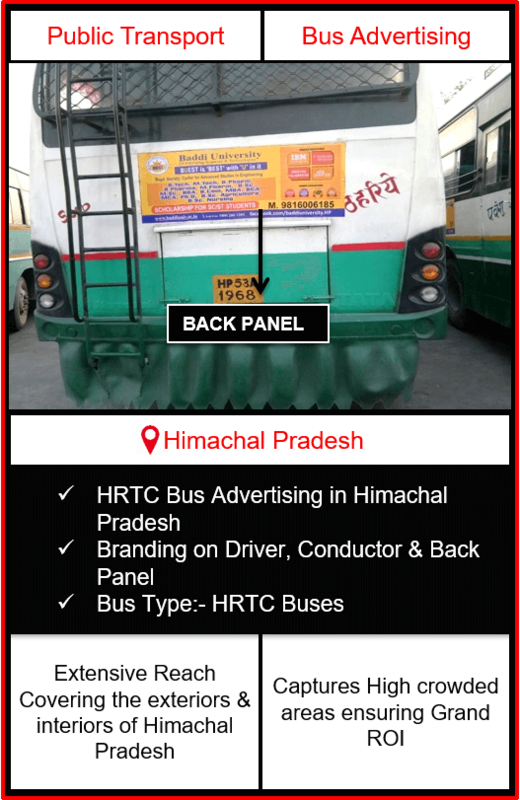 It helps you to boost up your brand’s awareness and offers you the reach of your targeted audience. 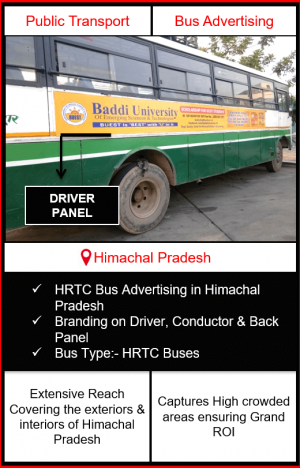 HRTC Roadways Bus Advertising ensures your brand get Zero Ad Avoidance and helps in building Brand Equity. 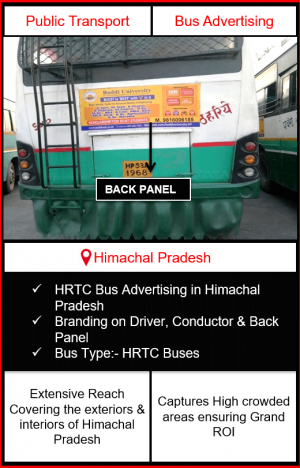 Hence, making it a supreme transit advertising option to cover Himachal Pradesh. Driver Panel: 20 ft. x 1.5 ft. Conductor Panel: 12 ft. x 1.5 ft.
Back Panel: 6 ft. x 1.5 ft. & 8 ft. x 1.5 ft.
Know More About Bus Advertising!